I love these pull chains. Great on kitchen ceiling fan. I have high open beam. Riling and these are great for my ceiling fan. 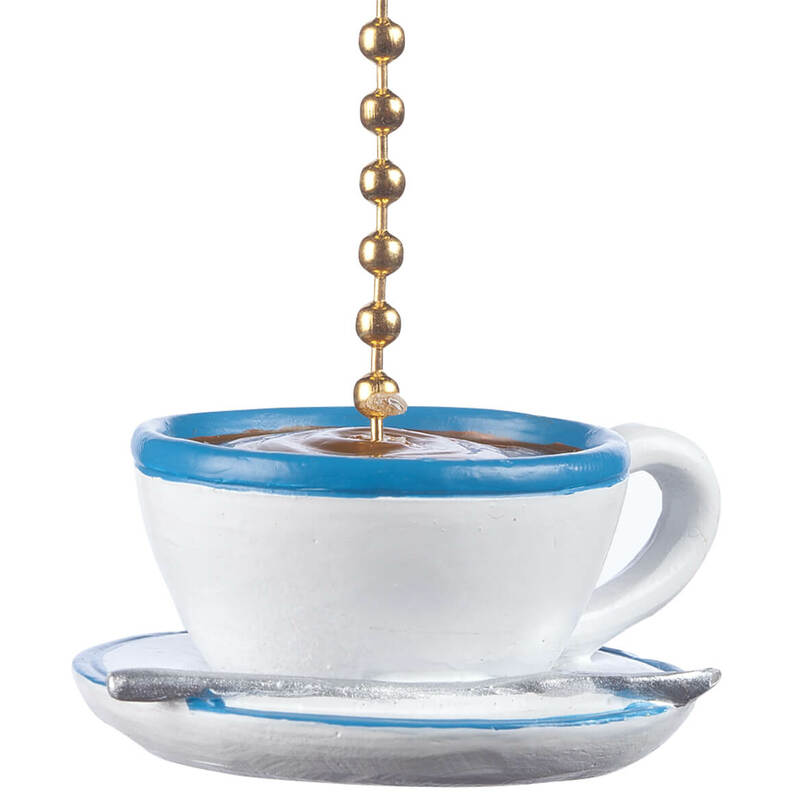 They are really pretty hanging from your lite or fan. I thought they were especially cute for a fan and light in the dining room. Coffee theme is my favorite!! I needed some for my kitchen fan. 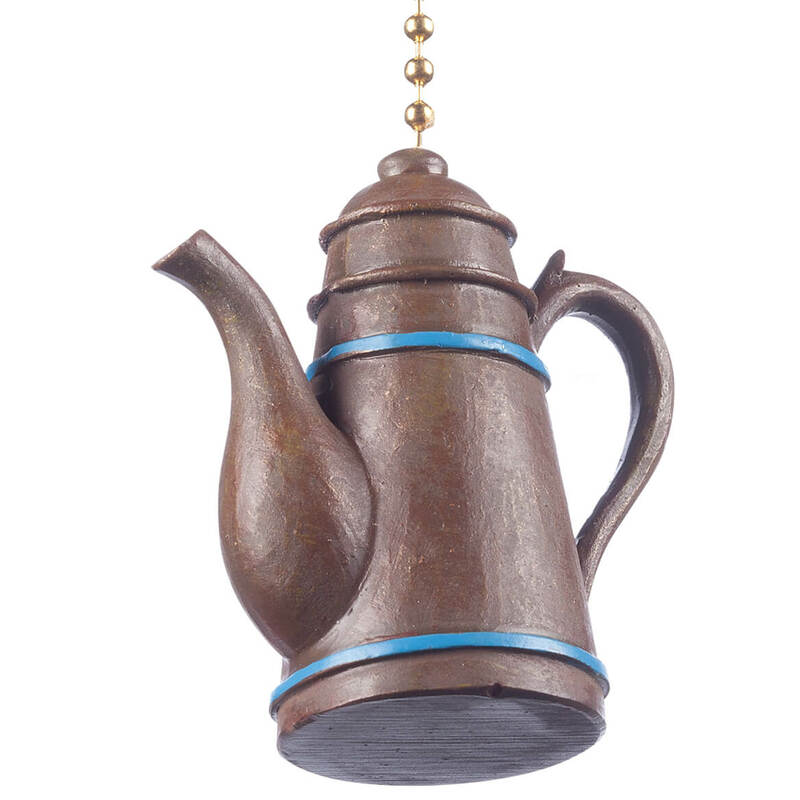 Some of my decor is coffee pots and teapots. This is our theme in our kitchen. My kitchen is decorated in a "coffee" theme. Hang on my kitchen fan to make it easier to reach. Right on time cute pull chains for fans and lamps. Coffee is my kitchen theme, and I really like this. Love anything coffee for my kitchen dÃ©cor. Even has my accent color of teal/aqua on it. Don't see that very often. Usually it is red! My kitchen is decorated in coffee. Thought they were cute and they are. 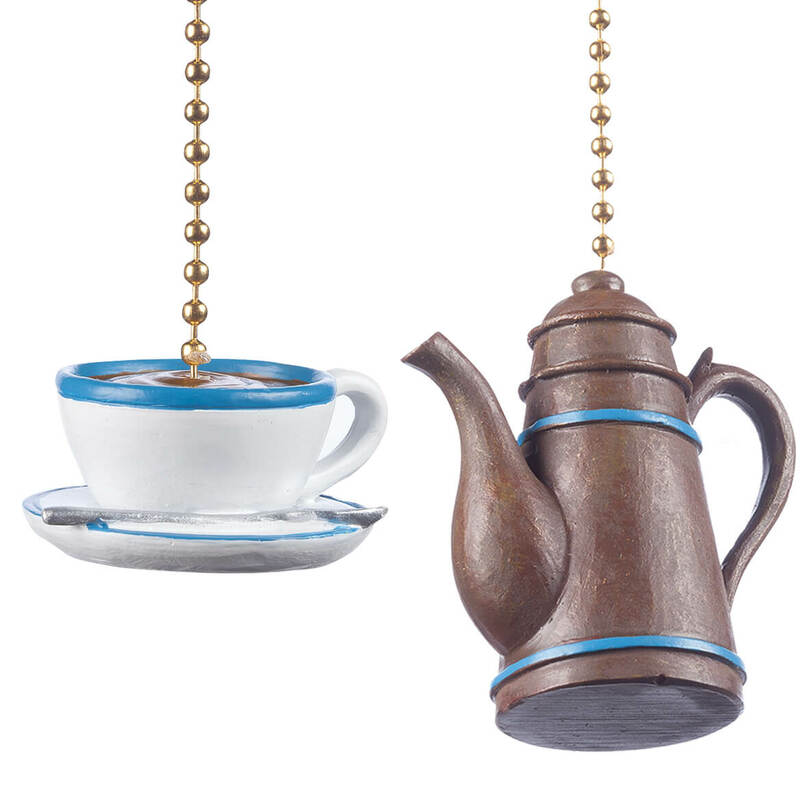 My kitchen decor is a coffe theme, these will add a bit of whimsy. I wanted something cute on the end of my pull chains. Matches my decor in my kitchen and dining room. Hangs from the ceiling fan. I wanted this for the fan I have in my kitchen. My kitchen is all about coffee so this is perfect! It's cute and serves a purpose.